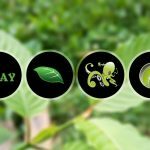 As a regular Kratom user, you must already be aware of the benefits of this special herb that originates from Southeast Asian countries. The herb which is commonly called as Kratom belongs to the tree called Mitragyna Speciosa. The leaves of this plant contain very effective alkaloids inducing properties similar to that of opiates. Hence, Kratom acts as a natural agent in treating pain, improving mood, increasing energy, immunity, and various other ailments. This is all something we know already. But are you aware of the fact that Kratom has broken into the Cosmetic Industry? Yes, Kratom has already been approved by the European Union for the manufacture of cosmetic products with Kratom as the active ingredient. This, in turn, proves that Kratom has a lot of other benefits apart from the effects that it tends to impart inside our body. Kratom, being an effective anti-oxidant, it removes the bacteria and other free radicals from the skin that could totally damage the cells. Hence, Kratom is being regarded as a potent active ingredient in the cosmetic industry by researchers. However, if you find it to be expensive or skeptical about trying Kratom soap from a retailer, you can always make your own Kratom soap and see how it works wonders on your skin. That is why we thought we could come up with a guide that explains the complete procedure on how to make your own Kratom soap. Before you really start with the process, make sure that you have all the right equipment with you. Though the process of making our Kratom soap is easier on the table, you will never be able to get it right without the specific instruments. The list of items that you will need for this process has been listed below. Once you have made sure that the equipment has been arranged, put in enough efforts to bring in the right ingredients. Keep in mind to opt for organic products for the list above. Also, make sure that you use appropriate quantities since these specific amounts would help you make 10 bars of Kratom soap. Based on this math, you can do your own calculations to get the desired number of bars. The first step is all about precautions. You will have to wear your safety glasses and rubber gloves. Make sure your cooking environment is wholly protected. You can always use newspapers or cardboard or any thin sheets to protect the surface from spills. You are good to go from here with absolutely perfect quantities. You will have to start this step by heating up the glycerin base. You can wait till it turns into a liquid and then turn off the heat. In the next step, you can start adding the essential oils. Avocado Oil, Palm Oil, Olive Oil, and Coconut Oil are mixed together thoroughly and heated up to 115 degrees. Now it is time to prepare the molds lined with parchment paper. You will have to add water and lye and stir the mixture until lye gets completely dissolved. Wear safety glasses while commencing this step. Once the lye mixture gets cooled, add it to the cooled oil mixture and keep stirring all the way. This activity causes the mixture to thicken a bit. If you wish to speed up the process, you can make use of an electric blender for the same. Once the mixture has thickened enough, it is time to add your Kratom. You can use any variety of strain that you prefer to use for this process. But make sure you add the essential oils after that to make the soap smell good. Once you are done with this step, add the soap to the mold. Make sure you eliminate the bubbles from it. You will then have to cover the mold with a wrap, insulate the mold and then store it in a warm place under a blanket for the next 24 hours. You will have to make sure that the bar has hardened in the next 48 Hours. After this, every four weeks, the bars have to be exposed to air and you will have to turn it every time on cardboard so that both sides get exposed evenly. Nothing really comes without patience and Kratom soap is not an exception to that rule either. With patience and the right technique, you will have your homemade Kratom soap in no time. Kratom soaps have been a huge hit after they were introduced in the market. However, it is too early to introspect and hence, the rates are abnormal. But Kratom soaps can help your skin with complexion, remove dirt and make your skin softer than ever. Hence, it is the right time to switch your options toward a natural soap that can be made at home in easy steps. So why wait? Start molding your own Kratom soap. Previous Post What are the 3 things that will stop Kratom Ban? Next Post How long it takes for Kratom Tea to React?